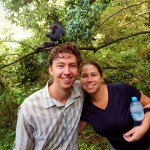 Coming to east Africa, one of our must-do trips was doing gorilla trekking in Uganda. We started looking into it very early on, but were rather taken aback by how expensive it was. 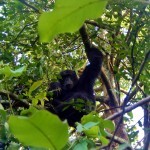 Trekking permits cost $600 per person per day, plus hundreds of dollars and about 9 hours driving each way to get to the area with the gorillas. Coupled with a flight and visa, it was just too expensive, so we abandoned the idea. 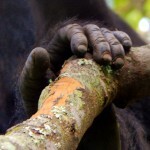 Later on, we heard about a national park on the western side of Tanzania called Gombe National Park, which is where Jane Goodall studied chimpanzees since the 1960s. While not as big as gorillas, the chimps turned out to be a bit more interesting, as they move around a lot more and are a little more “human”. 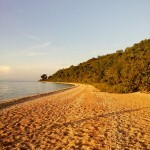 Plus, since it is quite remote and thus less touristy, it was significantly cheaper as well. So we booked a trip the weekend after Ruaha (time was running out!) and hit the road! By road, I actually mean air and boat. 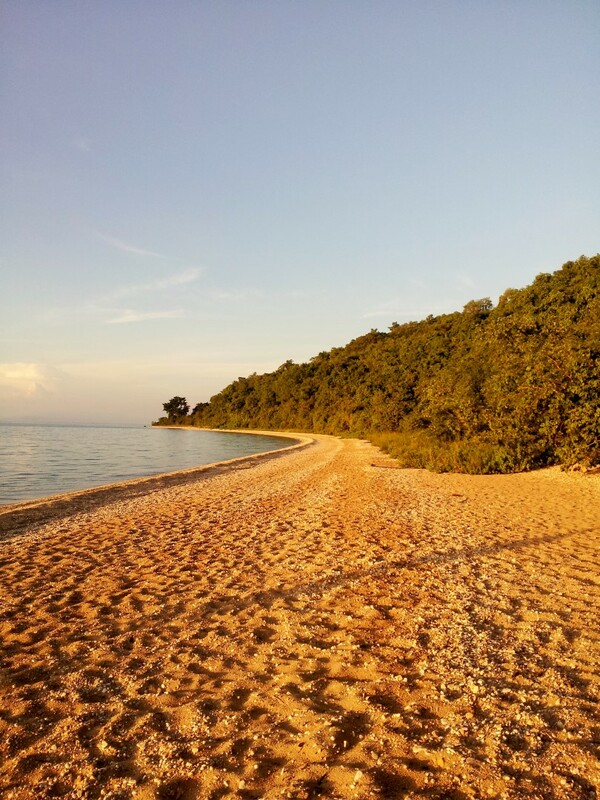 Gombe has no roads that lead to it, so it requires you get to Kigoma (it’s a 3 hour flight by air, paid in cash) and then hop on a boat for 2 to 3 hours. There is a public boat, which is uncovered and a bit cheaper, but we opted for a private boat, which turned out to be a good idea as we sailed through a torrential rainstorm. 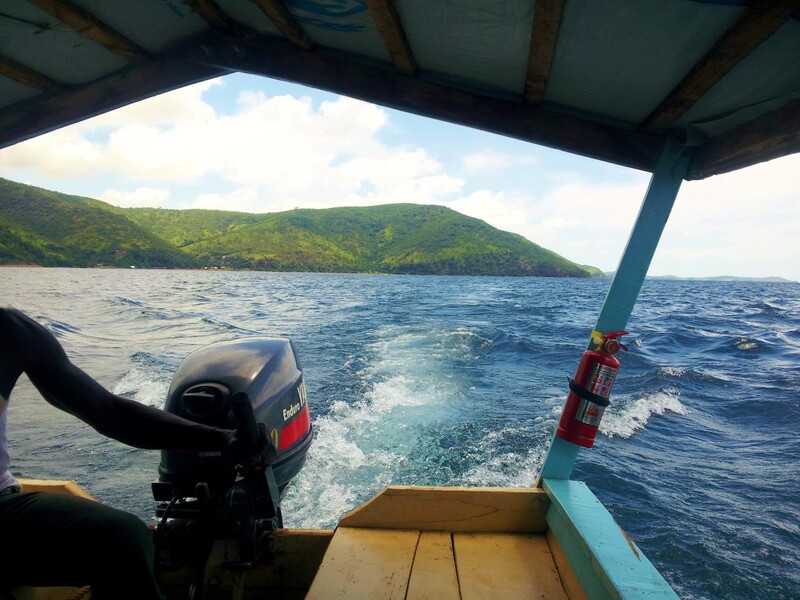 The boat ride was beautiful, and traversed the Tanzanian side of Lake Tanganyika, which is the second deepest and largest lake in the world behind Lake Baikal. 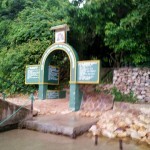 The gate at the camp wasn’t very dramatic – just a small arch and some park rules. The guesthouse, where we stayed, is part of the larger Jane Goodall Institute research camp, where researchers continue Jane’s studies of all things chimpanzees. We met the camp director, who knows Jane well, and has himself been working in Gombe for over 30 years. He knows all the chimps by name and personality and was really an interesting guy to talk to. We arrive a bit late in the day, but since we only had two days, we tried to eat quickly and start trekking. The way hiking here worked was that you were assigned one or two local guide who would take you out. 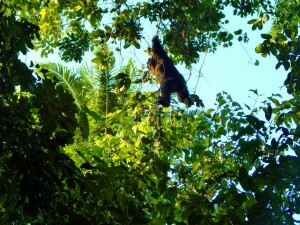 In the morning (around 7 AM), some advance guides go out and track the chimps, who make nests every night. Mornings are the best time to go, as the chimps (like humans) take some time to wake up, so they move slower and are easier to observe. There are no groomed trails or viewpoints in Gombe – almost everything is dirt footpaths, or more typically, climbing up and down rather steep mountains in the mud, using vines and tree limbs to pull yourself up. It was also extremely hot, humid, and muddy, so the trekking was not easy, to say the least. After a few minutes, we were hot and sweaty and testy, but it really was all forgotten the moment we saw the chimps. Going out in the late afternoon, it was unlikely we would find the chimps, as they had lost track of them after the rain storm earlier in the day, and we had to be back before sunset. 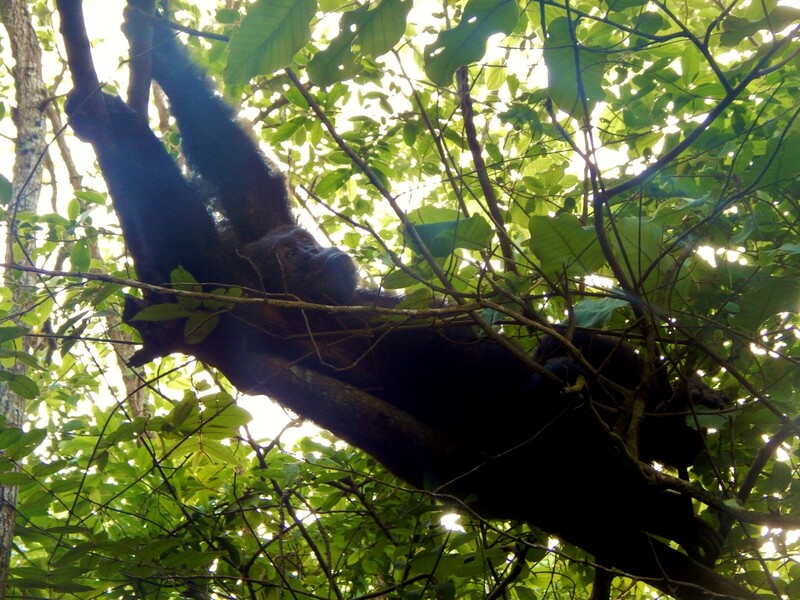 However, we pushed forward quickly, and with about 15 minutes to spare, we looked up and spotted a group of 3 chimps and a baby! Awesome. We stayed and watched them play for a few minutes until the sun went down and we had to head back to camp. We woke up the following morning around 7, ate breakfast, and headed out. 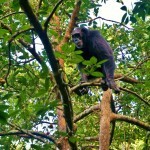 We stayed out until about 2 PM, and observed several different groups of chimps. Technically, you can only stay with one group of chimps for an hour, but since the chimps move around a lot and mix groups, we were able to spend several hours observing them. 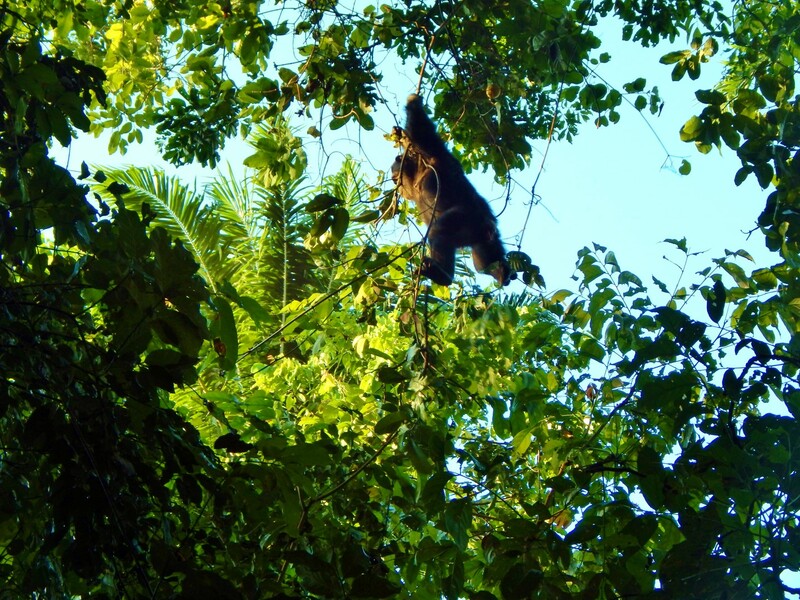 The guides were great and could track them by sounds and also by understanding their nesting habits and where fruit sources are at any given time. 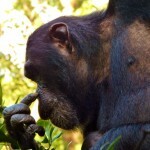 Observing the chimp behavior was really neat, and you can really see how we share a common ancestor. The children age at roughly the same pace as humans, and a three year old chimp is remarkably sized similar to a three year old child. 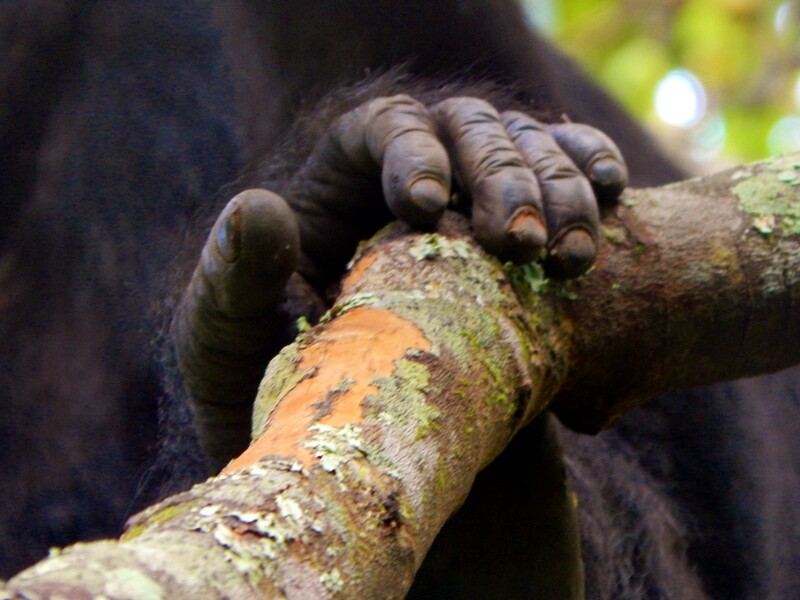 Plus things like their hands, the way they group into families, the way they pair bond – it was super interesting. Of course they do their own fair share of interesting things: a lot of swinging from trees, a lot of eating fruit, making loud pant-hoots to let others know where they are, a lot of peeing on trees, and a lot of mating (this takes about 8 seconds and females are mated with, a lot). 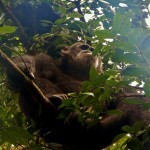 We saw chimps of all shapes and sizes, from adults to babies. 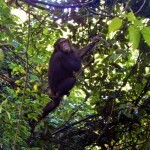 In Gombe, there are three “villages” of chimps. We were in the central village, as those are the only chimps that are habituated (the others would just run away if they saw humans). The village has 7 families, and there is one alpha male for the entire village that is worshipped by all the other chimps. Every 5-7 years a new alpha emerges. While we figured alpha = biggest and baddest chimp, the biggest chimp there is fairly laid back and meek and so he was ousted rather quickly. Anyway, it was a really cool experience. 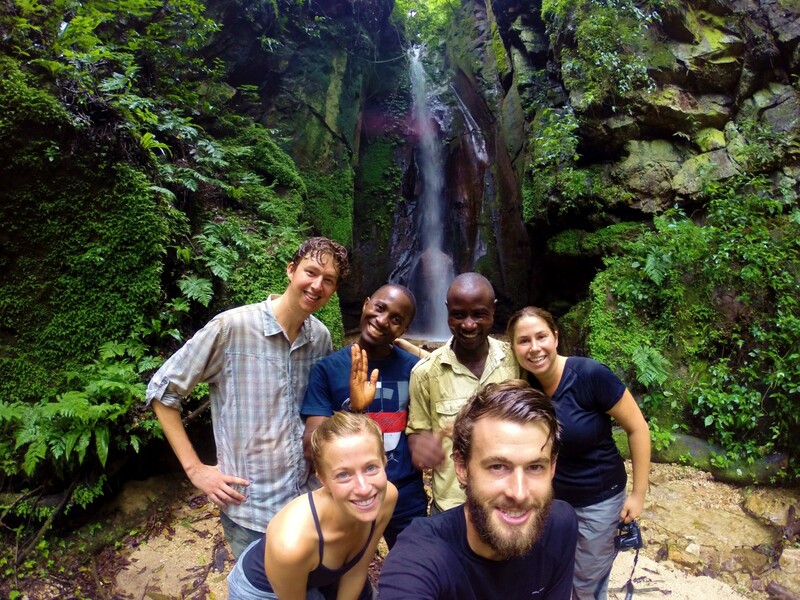 So, overall Gombe was a really cool experience. It was really challenging to get there, to hike there, and to stay there, but it was totally worth it, and an experience we’ll definitely look back on fondly as worth the effort. Our trip included a cook – he brought in all our food, and cooked it in the kitchen. If you’re going on your own, you can bring your food and cook, but there’s definitely no restaurant on site. There’s no internet, wifi, or cell service there. It’s a great place to get off the grid. The lake is a fantastic place to cool off after the hike, and had some of the most beautiful sunsets we’d seen. You can see the Congo and Burundi on a clear day! There were several American researchers there, including a few grad students from Duke that we hung out with at night. They told us a lot of interesting facts about Gombe, the camp, and Jane Goodall. The local workers call her “Janie” (adding an “ee” at the end of words is common in Tanzania). 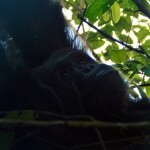 Jane still visits Gombe twice a year, typically in January and July. Rumor is most people at the camp spent the 60s and 70s working in the buff. 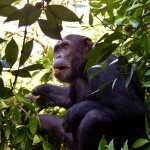 If you made it this far, here’s a few more cool pictures of chimps. The rest are in our Facebook album.